PACE is dependent on enabling state and local regulations, which makes it highly specific by location. It’s most well-established in California, as evidenced by the fact that 75% of the attendees of Sighten’s last PACE webinar hailed from the Golden State, with well over half of attendees familiar with selling PACE from current or past experience. However, there’s also growing interest in residential PACE other states, Florida in particular. As the PACE landscape expands geographically, Sighten has prioritized making it easy for installers to sell PACE financing. Recent regulatory changes have impacted the PACE market, but the good news is that PACE financing companies have caught up with the changes – and so has Sighten’s solar software, which now integrates PACE financing just as easily as any other type of financing. What are the basics of PACE and how does it work? If you aren’t based in California, this is likely new territory compared to familiar loan, lease, and PPA offerings. PACE is a financing mechanism for clean energy improvements that allows homeowners to pay off the cost of the project through an additional assessment on their property taxes. Just like property taxes, PACE is governed by laws and regulations at the state, county, and municipal level. Avoids credit issues: PACE lending is not entirely based on customer FICO score, as is often the case with loans or leases, and it does not show up as debt on a credit report. Ease of payment: instead of monthly payments, borrowers pay on their property tax schedule, with first payments occurring as much as 18 months after installation. 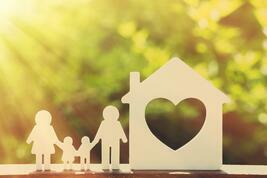 Tax-deductible interest: like home equity loans, interest on PACE loans is typically tax deductible, which can significantly improve savings for some borrowers. Increased property value: because the clean energy improvements are attached to the home, PACE projects more directly increase the customer’s property value. Potential to go beyond solar: depending on the regulations of a given jurisdiction, PACE can finance things like energy efficiency or storage, in addition to solar. PACE financing tends to be very appealing to customers that lack sufficient credit for other types of financing, whether due to credit issues or lack of an adequate track record. This means customers with lower incomes can qualify, and income requirements can be even lower if a customer has no other debt. PACE can also be a great fit for customers that want the convenience of paying off their clean energy investment through their property taxes as well as customers that don’t want debt added to their credit profile. As with all forms of financing, there’s no one size fits all, but PACE is definitely a great choice for certain customers – and thanks to Sighten’s new capabilities, it’s easier than ever to incorporate PACE into your sales process. To help us support PACE on the Sighten platform, we’ve partnered with established PACE providers with market-leading financing products and installer-friendly processes. Sighten’s integrated PACE programs allow installers to easily check property eligibility and create accurate proposals that include PACE financing. Property eligibility: easily determine a property’s eligibility for specific PACE programs when entering an address in Sighten. Pricing: create financing quotes directly on the Sighten quote page – no need to open another browser tab to get pricing. Contracts & post-sale: Quickly proceed with contracts and post-sale processing within Sighten or through easy access to PACE partner platforms. Sighten supports all types of financing, but we’re especially happy to bring the simplicity and usability of our platform to a type of financing too often perceived as complex. As part of the launch of our integrated PACE offerings - available in California and Florida - customers can even get Sighten for FREE by selling integrated PACE financing. Get in touch with your account manager to learn more about the details for your subscription level. Sometimes it seems that change is the only constant in the solar industry, and that has definitely included PACE and its new regulatory guidelines in California. At Sighten, we’ve worked closely with leading PACE providers to ensure that our solar software platform is up-to-date and compliant with the latest PACE requirements. 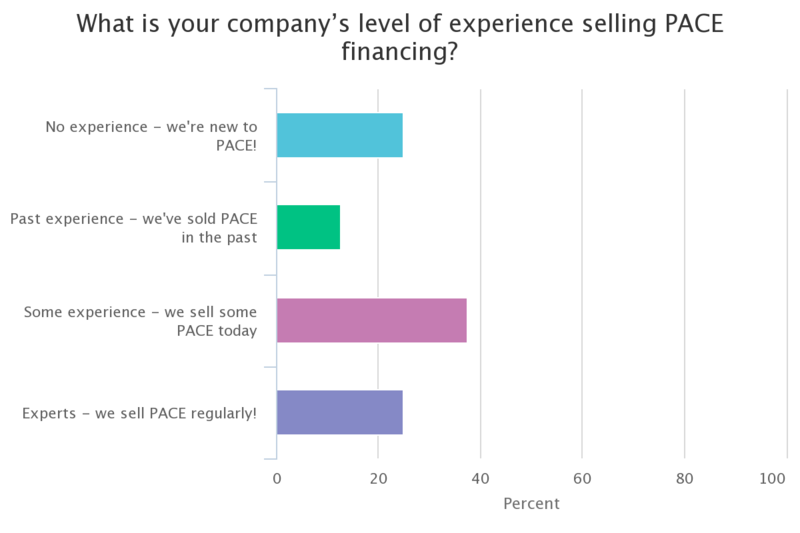 Given the simplicity of selling PACE with Sighten and an increasingly diverse solar market still hungry for a wide range of financing options, now is a great time to make PACE a part of your business. Reach out to your Sighten account manager or email info@sighten.io to learn more about how you can grow your solar business with integrated PACE financing available through Sighten!